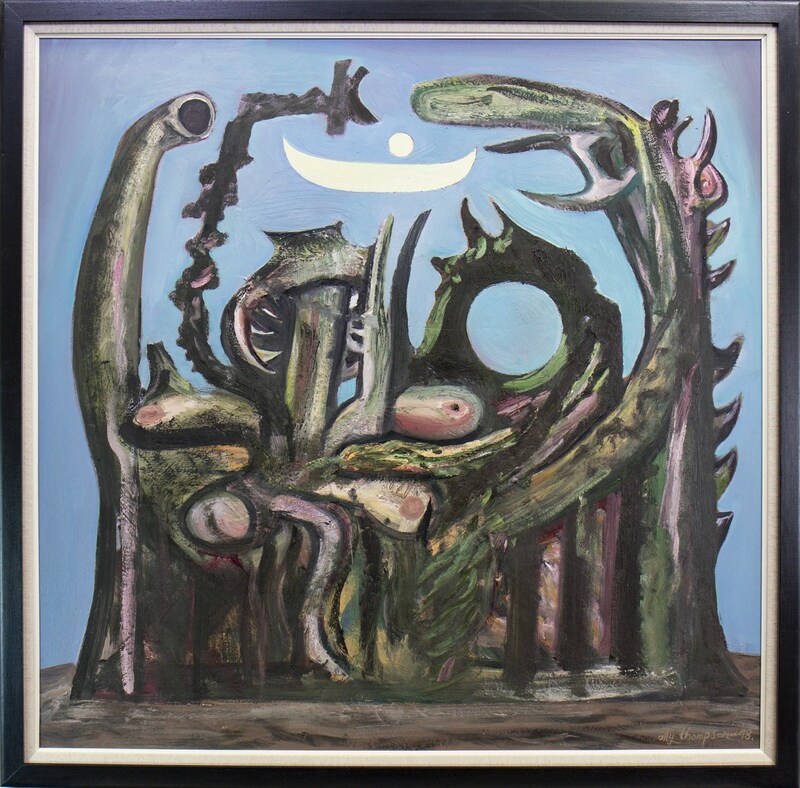 The Scottish Contemporary Art Auction on Sunday 14th April will offer at auction the studio contents of one of Glasgow’s most distinctive and imaginative artists, Ally Thompson. 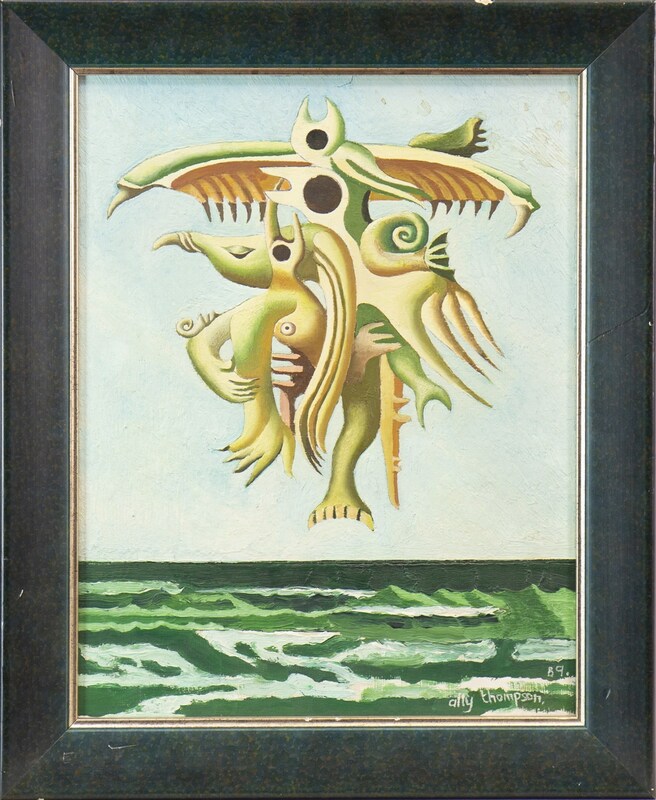 A painter of the New Glasgow Boys generation, his dreamlike (or nightmarish) compositions earned him the moniker “Glasgow’s Surrealist” and propelled him to international recognition. Throughout his career, Thompson experimented with a range of artistic styles, and the works included in this studio sale range from small scale works from his early career (lot 789) to later larger compositions (lots 581 and 583). The majority of the studio sale compromised work executed within the last ten years, including pastels, inks, oils and printmaking. 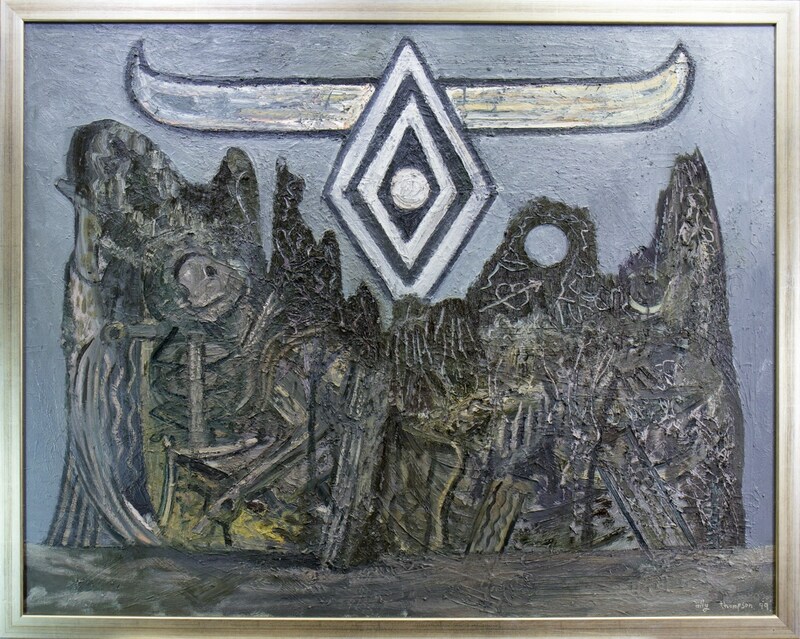 His vast output and bold approach to painting alongside Peter Howson, Steven Campbell, Ken Currie and Adrien Wiszniewski marks him as a vital contributor to Scottish visual culture and hopefully in time, a collector’s favourite.